Nirvana Beauty Clinics shows the key to gorgeous skin! You may have seen us use this image of blueberries to promote collagen stimulation, as they help with collagen production! BROKEN CAPILLARIES are usually caused due to poor skin health via the weakening of the walls of the capillaries, when they break they can show up and are hard to get rid of. The source of Vitamin C in blueberries are an excellent immune booster which will help strengthen the walls of capillaries, therefore minimizing the appearance of dilated capillaries on the surface of the skin. The stronger your blood vessels are, the less likely they are to break! ACNE, the vitamins in blueberries will neutralize oil levels in your skin, vitamin A which keeps your skin healthy and therefore makes it less likely to create that nasty pimple creating Sebum. DEHYDRATED SKIN: the Vitamin C that is keeping away excessive sebum production is also acting as a collagen booster! As Vitamin C is a strong antioxidant, it hydrates the skin and increases collagen and elastin production for a plumper, fuller look. This also leads to the reduction in signs of AGING. Antioxidants which are excellent for getting rid of free-radicals and all sorts of nasty things in your system which can come out in your skin through signs of aging. 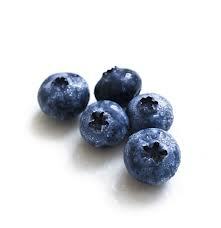 Blueberries fight the signs of aging and literally keep your skin looking younger for longer! Don’t just take our word for it, here is another explanation of their benefits in Vouge ~Do we have to mention that they also taste delicious? 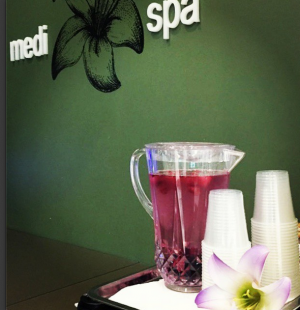 At Nirvana Beauty Laser Clinics we are offering some all-natural mixed berry infused water to hydrate our clients to encourage both these two steps, we know that the key to good skin starts from within! Our simple infusion of berries in water is the perfect pre-treatment concoction to get you on the path to great skin, try them in store today! This is where you will see the real results fast with your first Microdermabrasion treatment. Your treatments will help diminish the appearance of superficial hyperpigmentation, photo damage, uneven skin tone, fine lines and wrinkles, scarring, congested skin and much much more! Microdermabrasion treatments also have lovely antiaging qualities through increases circulation to the skin which hydrates the skin and also allows product penetration hence why we put on the COLLAGEN MASK right after your Microdermabrasion. Our collagen mask will instantly boosts skin firmness and elasticity to deliver tight, plump skin. It is recommended to undertake the treatments over a course of 4 months for optimal results. We also have your homecare covered with a FABUFEEL Radiance Serum with the active ingredient of Hyaluronic acid, use this with your regular cleansing routine and watch your skin transform! Together these three easy steps will leave your skin feeling smooth and radiant, just in time for the Spring season, remember GOOD SKIN IS IN!